Now that Gary Sanchez is officially back and better than ever, just about every media outlet around wanted to talk to him. Luckily for FOX Sports, one of their guys has the hookup. In the middle of their broadcast following the Yankees' big Game 2 win over the Red Sox at Fenway Park, the New York catcher decided to grab his iPhone and FaceTime Alex Rodriguez. 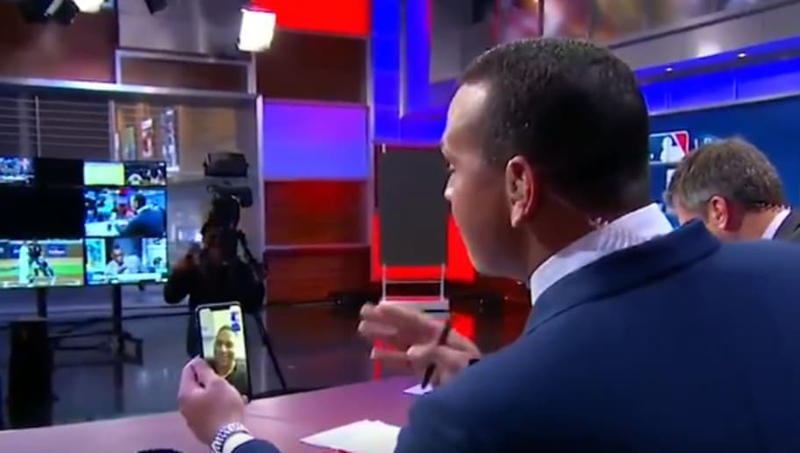 In the middle of tonight's show, @Yankees' Gary Sánchez decided to FaceTime @AROD. Sanchez had to know A-Rod would be busy, right? Just because he's retired doesn't mean he's sitting at home on his couch, of course. The man is on national television on a nightly basis. It was a good night for Sanchez to call in, as he reintroduced himself to the world earlier and was practically walking on air. With two homers to help propel the Yankees over David Price and the Sox, the man deserved all the air time in the world. It wasn't too long ago where Sanchez was considered a liability to his club. Now, he's soaking in the spotlight. Maybe next time, Rodriguez could give El Gary a little bit more credit. But when you're a former MVP, perhaps you still have to remind the young folks who's the big dog once in a while.